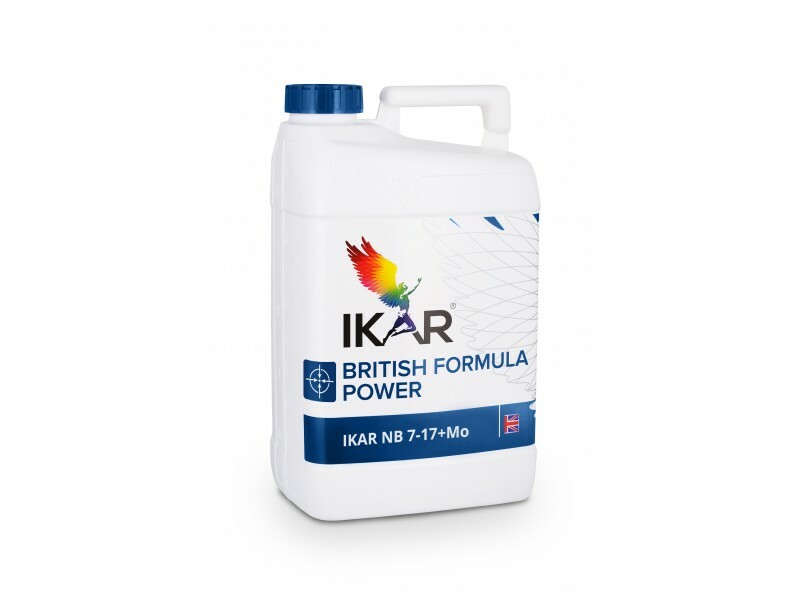 Ikar NB 7-17+0,7 is a liquid concentrated boron – molybdenum (B-Mo) fertilizer. Boron stimulates formation of generative organs of the plant, growth of seeds and fruits. Boron is necessary for assimilation of potassium in plants, accelerates transportation of sugar, develops root system, increases resistance against fungous diseases and draughts. Boron helps to better assimilate calcium, supports potassium (K) balance within plant. Molybdenum is important trace element for many agricultural plants. Molybdenum, by stimulating synthesis of chlorophyll, enforces photo-synthesis and increases starchiness, accelerating reduction of nitrates and synthesis of proteins, increases quantity of proteins. Molybdenum positively affects growth of spice and accumulative plants. For normal development leguminous plants need bigger quantity of molybdenum than others. In roots of leguminous plants nitrogen fixing bacteria use molybdenum for process of fixing nitrogen from air. Therefore, fertilizing with molybdenum increases process of nitrogen fixation in roots of such plants. Boron in plants is sessile, therefore, condition of plants is also determined by constant reception of this trace element. Lack of boron shows due to imbalance between boron and calcium, little quantity of organic substances in soil. In alkaline soils calcium suppresses absorption of boron. Draught, insufficient quantity of dampness, low temperature, big amount of fall over short time - factors causing lack of boron. Boron and molybdenum are necessary for plants during full vegetation, they cannot be replaced with other elements. • growth of seeds and fruits. A complex of boron and molybdenum increases resistance of plants against fungal diseases, increases resistance against draught. Fits for fertilizing of all plants for which additional quantity of boron and molybdenum is necessary during vegetative period. Norm for fertilizing through leaves 0,5-1,5 l/ha. Fertilizing of winter rapes: 1,0 l,2/ha in autumn during phase of 3-5 leaves, in spring – during phase of buttonization. Fertilizing of summer rapes: 0,8 l,0/ha, first time during phase of 4-6 leaves, second time – during phase of buttonization. Fertilizing of sugar-beets : 1,0-1,2 l/ha, first time during phase of 3-4 leaves, second time - for beetroots during phase of 4-6 leaves. Fertilizing of beans, soya: 0,7 l/ha, first time during phase of 4-6 leaves, second time – before buttonization. Fertilizing of vegetable garden, garden, decorative plants: 70-100 ml/100 l water, spraying through leaves for stimulation of blooming, improvement of vegetables, berries and fruits quality. Vegetables, flowers are fertilized up to 3-4 times, berry bushes up to 4-6 times, garden plants up to 6-8 times during vegetation. 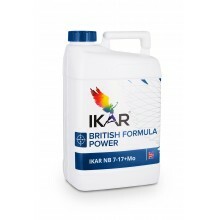 Possible to use in mixes with many fertilizers and pesticides (insecticides, fungicides). Do not use with products containing copper, sulphates, mineral oils, with alkaline products (pH>8). Before mixing it is recommended to make a small amount of the mix in order to assure if no sediments contains, to spray it over small site in order to assure if there is no phyto-toxic influence to plants.